Year 2018 has been an amazing transitional period for Ays London & his music career this far. Releasing brand new tunes for the first time in two years, quietly replacing his older material with new music on all digital platforms. His latest single’s that have recently debut on Trend City Radio have resulted into Ays London averaging two to three tracks in the #Top40countdown as he once did before in previous years. After being voted number one only a short month ago, he still somehow lands in the top 5 on weekly basis. This past Sunday the hit single “My Zone” by Ays London was voted number #2. The single continues to gain momentum as the week’s go by thanks to the popularity of the official music video. Another brand new single by Ays London that peaked the #Top40countdown is “Destiny”. Charting in it's very first week on Trend City Radio is consider a huge accomplishment. Ays London wishes to reward his fans in the U.S. by presenting the brand new official music video to the hit single “Destiny”. Already established over 10K views since its official release in the U.K.. 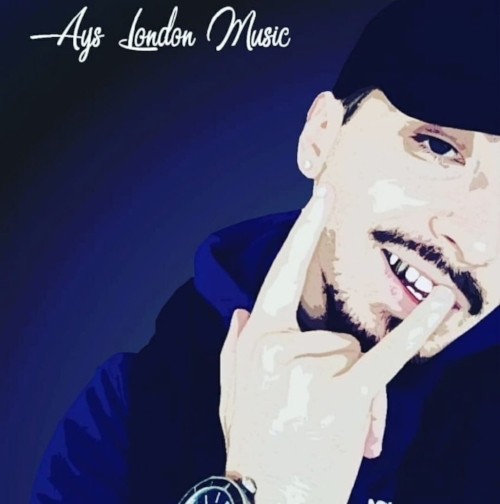 In the music video you can catch Ays London strolling the sunny streets of his hometown London while enjoying some of the latest fashions & automobiles. He’s in search of a beautiful woman, one who can keep him company. The music video is an absolute must see. The lyrics within the song is simple & straight to the point, but the melody is what sells. An incredible job on the production as well. I rate the “Destiny” single 5 outta 5 Flames! Now that Ays London is the new owner of his current label, he decided to spend partial of the budget on upgrading studio equipment. This strategy is the main result of his new sound & direction. He is currently working hard on another brand new album that is set to be released in the near future. He continues to regularly get featured in top international digital magazines and blogs. He still hold some of Trend City Radio most prestigious records. Such as the most number one single’s by any artist with a grand total of 18. He is the only artist to ever make the #4ShowSweep & on six different occasions. Ays London now feels he has the right team behind him to reach his full superstar potential. Now a 14 year veteran in the music industry, he feels the time is now. Click the link below to listen to the number #1 smash hit “Destiny” by the amazing artist Ays London.